With the close of the year fast approaching, many of us have enjoyed seeing the change of seasons and watching the great spectacle of migration that takes place right in front of us. As avian health advocates and conservationists, we should also pay attention to the changes that the season has brought in America’s political climate. Many of you probably know that the most recent election resulted in a turn of the House to Democratic control, while the Senate remains with a Republican majority. In this bipartisan setting, our lawmakers can either decide to cooperate to move forward with policies or create a gridlock until the next major election cycle. While I believe most of us would want to move forward and be willing to pursue reasonable compromise to achieve what is best for all, we will have to be vigilant to ensure that some of the things we value most are not compromised, as well. Conservation is one of those key issues. Here are some of the top contenders for avian advocates to keep an eye on at the end of 2018. The Farm Bill has always been a huge deciding factor in how land is best used to protect America’s food supply in a way that also promotes stewardship of natural resources and wildlife. The bill is still resolving differences and may not get passed this year, but the committees in both the House and Senate have expressed desire to finish the job to avoid starting over next year. Though waiting for Democrat control of the House may result in Farm Bill proposals next year geared more towards conservation, the current bill on the table went through a lot to get where it’s at now and shouldn’t be abandoned lightly. If Congress decides to make the Farm Bill a priority for the end of the year, conservationists need to keep a close eye on the policies involved. The major issue keeping the Farm Bill in limbo is SNAP (food stamp) provisions, not necessarily conservation issues. Renewal for this fund was not passed on time and expired September 30th. However, both Senate and House members have proposed acts to renew the fund, and we should encourage our representatives to get this to go through in a timely fashion. The Land and Water Conservation Fund uses royalties from offshore oil and gas leasing to support the protection of federal lands and waters for conservation and recreation. H.R. 4239 was the bill that contained a provisional change to how the Migratory Bird Treaty Act was interpreted in favor of no penalties for “incidental” kills of birds. Fortunately, it should be much more difficult to pass successfully now. On November 2nd an amended version was published as well as the dissenting view of the current Ranking Member of the House Committee on Natural Resources, Raul Grijalva. Representative Grijalva will become Chairman of the Committee when the House turns over, and this Act will likely see major changes under Democratic control. Still, avian conservationists need to be vigilant to ensure that the Migratory Bird Treaty Act is preserved in its entirety should H.R. 4239 move forward. The time window for public comment on the proposed rules has closed. We are in a period of waiting to see if the proposed rules will be made final, or if public comment or other factors will result in changes to the rules. It is possible, though unlikely, that another chance for comment may become available if changes to the proposed rules are significant. We need to look towards the future and realize that other changes to the Endangered Species Act could be imminent and in need our valuable input. 2018 was touted to be “The Year of the Bird” by Audubon. As avian veterinarians, we have a unique outlook on the health of bird populations in the United States and should strive to become involved in these nationwide issues that are affecting our wild birds. 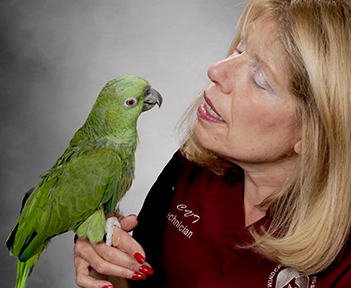 After all, even if for most of us our patients are primarily captive, non-native species, it is our obligation under our veterinary oath to use our skills to create a healthy world for birds and humans alike.